The X Factor boyband - Josh Cuthbert, Jamie 'JJ' Hamblett, Jaymi Hensley and George Shelley - announced that they are closing the deal on ITV1's Daybreak. Jaymi said: "It's amazing. It's been a crazy week. Obviously when we came out of the show the dream was to get a record deal and we're going to Sony today to sort out all the contracts and stuff." He added: "Before Christmas we will have our deal finalised." 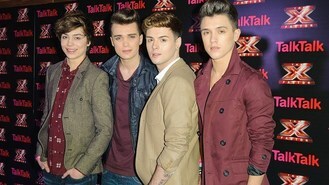 Union J, who were booted out in the semi-finals, join Ella Henderson in getting snapped up by record label bosses.